But they need to ask tough questions to their teams and prospects before entering into any deal. Growing optimism in the economy, stronger corporate balance sheets, and greater liquidity in the financial markets are giving CFOs of the nation’s mid-size companies the confidence to continue to focus on expansion this year. As such, M&A is expected to be an important tool for finance leaders to drive growth through 2015. Many people working in finance remember the heyday for mergers and acquisitions — right before the financial crisis of 2007 and 2008. Thankfully, nearly all areas of the economy have improved significantly since then. According to Dealogic, the combined value of global M&A transactions announced through the first week of April 2015 exceeded $1 trillion, putting 2015 deal volume on pace to be the second-biggest year in history after 2007. That said, finance leaders will be asking tough questions to their teams and prospects before entering into any deal. Following are three key concerns for finance leaders when exploring a potential deal, and strategies for handling them. Middle-market M&A activity in 2015 is likely to focus on domestic growth and the pursuit of acquisition targets with limited exposure to foreign markets, economies, and currencies, particularly in the face of continued low oil prices and a strong U.S. dollar. Even more than in the recent past, market volatility can affect valuation perspectives, even within a short time period. The international markets in particular are experiencing pockets of volatility, holding back optimism for the future. As a result, M&A activity will likely come about with domestic partners, as they are less affected by the swings of foreign stocks. At the same time, overseas markets can boost profits for middle-market companies, so it is important to consider how to gain exposure to foreign markets through M&A. Consider U.S.-based partners that sell overseas or have strategic operations abroad. By merging with those companies, other middle-market firms can increase their profits from overseas activity, while mitigating the uncertainty that comes from other markets. In the current environment, potential acquirers often face a competitive bidding dynamic that may include a broad universe of well-capitalized strategic and financial buyers. Further, a given target may have several opportunities to evaluate channels for expansion, including an organic growth strategy, a recapitalization, a strategic partnership, or a joint venture. Mergers and acquisitions can be costly, especially when overseas transactions are involved. According to the Bank of America Merrill Lynch 2015 CFO Outlook, companies with foreign market involvement are much more likely than those with only domestic exposure (35% versus 20%) to say their deals are threatened by costs or factors that could push up costs, including currency fluctuations, sourcing and supply-chain issues, tax implications, and the inability to realize synergies. As a result, a potential target is well served to work with a financial adviser to craft a compelling investment thesis that articulates the strategic merits of a proposed transaction as well as the ability to deliver value to shareholders with speed and certainty. Executing a merger of equals is always a difficult task. That’s why the M&A landscape is littered with great deals that didn’t go through. But the pace of M&A has slowed in recent years, leading to pent-up demand for some executives to use deals to solidify their legacies and transform their businesses. Going forward, deal-makers — and CFOs — must be sure to analyze all the issues and potential costs that go into a merger of equals. These include the corporate culture, hierarchy of leadership, salary structures, and geographic regions. CFOs are in a strong position to make sure that other members of the C-suite are paying attention to these issues, to head off any problems before they arise. CFOs should be prepared to pursue opportunities that offer the greatest promise for increasing sales and profits by striving for long-term financing solutions while rates remain low and capital can be deployed productively. To strengthen their chances for success, CFOs must have an expansive view of their business and its position in the industry, which may necessitate engaging in strategic initiatives that go beyond their traditional financial duties. Top corporate leaders balance enthusiasm with pragmatism, carefully considering risk before investing while embracing change in the face of emerging trends. Despite these concerns, CFOs should be doing all they can to take advantage of growth opportunities that are strategically compelling. According to the BofA CFO Outlook, nearly one quarter (22%) expect to pursue an M&A strategy to grow. As sales, profits, and working capital continue to rise and the availability of debt at historically low interest rates remains, M&A will continue to be a viable option. It is a great time for businesses, especially those with strong credit profiles, to raise capital and pursue transactions that can increase their asset base, not only M&A deals but also new production lines, manufacturing facilities, and capital equipment. But with so many middle-market companies sizing up deal partners and strategizing about how to maximize growth and reduce risks, CFOs should ensure they are prominently placed to drive strategy that tells a compelling story about how M&A is part of a transformative business plan. 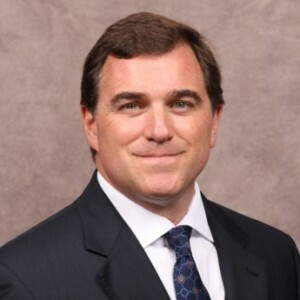 James Rourke is a managing director in the mergers and acquisitions group at Bank of America Merrill Lynch.